Fierce Ford Car Coloring 07! Ford produced Mustang Cobras for the first time in 1993. The name of the first line was Mustang SVT Cobra. These cars were quite stylish and were designed after the 1960s models. These Mustangs were Ford's own rendition of designer cars. They were a class apart from the boring Mustangs produced earlier. The car was a huge sell out with almost 5,100 units produced in the year of production. After that the production amount increased by almost 1000 units in 1994. The production figures however dipped in the next year but they again zoomed in 1996. Now, this model was continued till 2004. Many changes were made in the models from the time they were launched to the last year. The 1993 cobra model had some basic features only including a 235-horsepower engine. This engine power was increased in the later versions of these vehicles. ...This automobile was not produced in large numbers. This car also had better performance as compared to the others types of Ford Mustangs. The car was better in performance as compared to the mustang GT model. Ford has also produced even better performing varieties of this car now. Incidentally, the Ford Cobra had been launched in 1980, but was re-launched in 1993. The ford special vehicle team can be credited for its design. The Cobra line of cars has been endowed with some great engineering to serve the purpose of an ideal track car. The Cobra R is also produced in the typical red color which is the trademark of track cars. Ford has also been producing Cobra variants in different years, 1993, 1995, 2000. These cars are higher performing models than normal Ford Mustang Cobras. You cannot go wrong with any of these models. They are all great cars. These Are Your American Ford Automobiles and Muscle Cars Pictures to Print. Need For Speed Video Games Feature Mustangs As Pursuit Police and Street Racers. Collect'em! 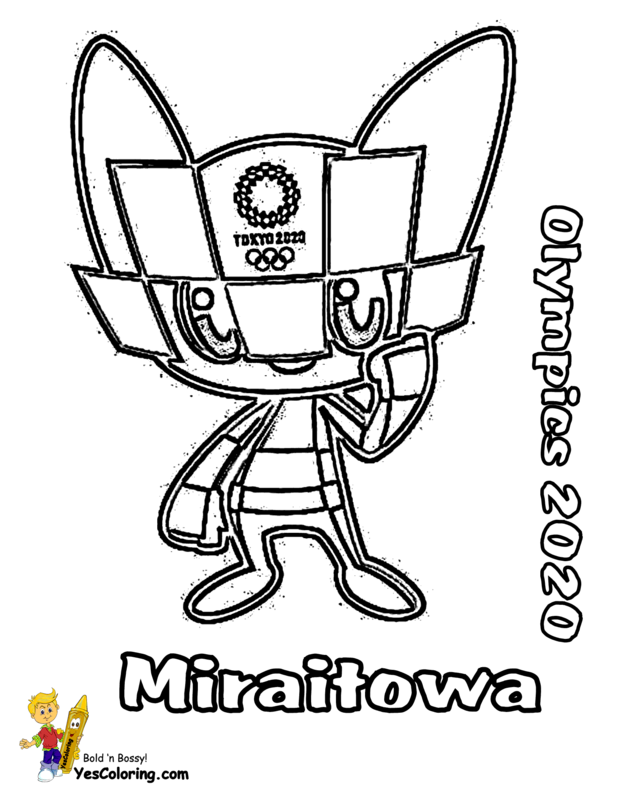 Color'em! 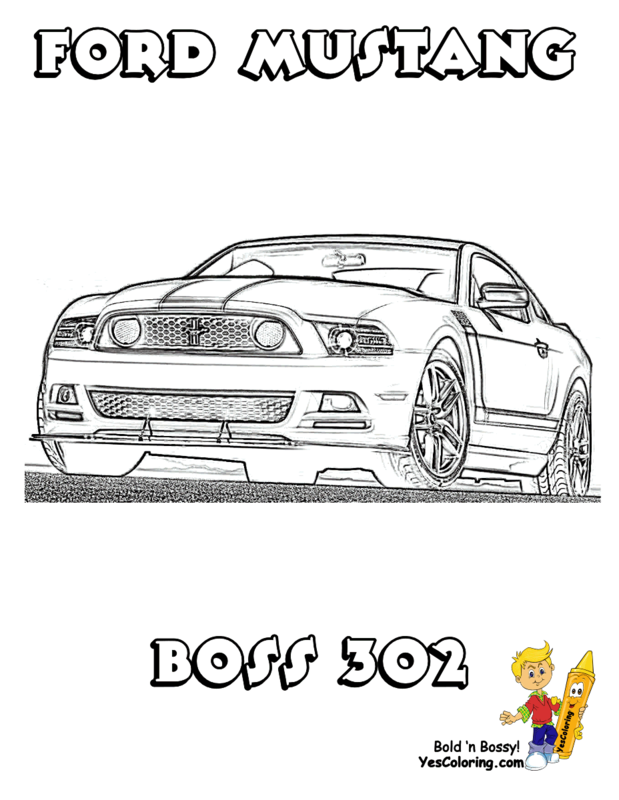 Car Printables of Mustang Boss 302 and RTR and Focus RS 500. 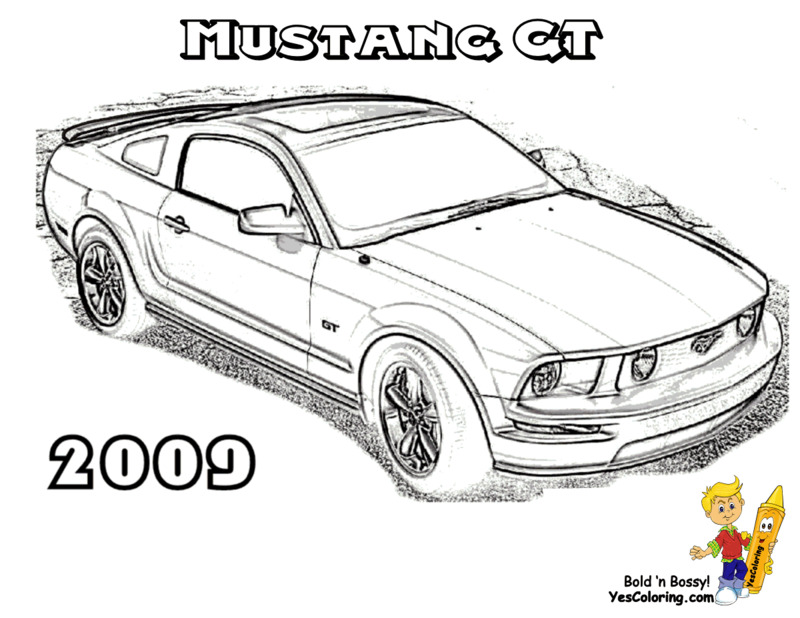 Muscle Cars Colorables of The Ford Mustang 2009 and GT 2016. 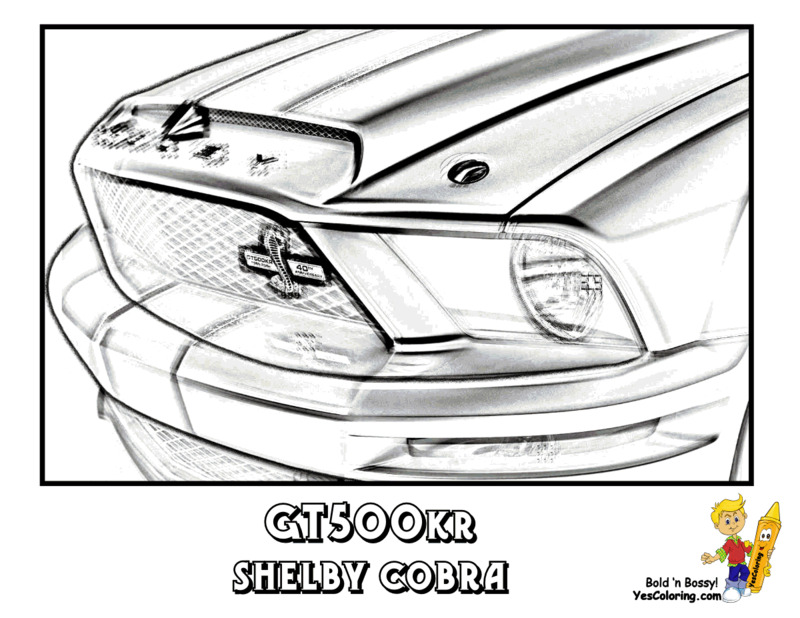 Cool Cars Coloring Pages of Ford GT 90 - Ford Mustang GT 289. Easy Car Print Outs For Preschool Kids. Printout The Ford Gt90 Car Picture. Ford Pictures You Can Print Of RTR and Focus RS 500. This Is The Classic American Muscle Car 1965 Ford Mustang GT 289. 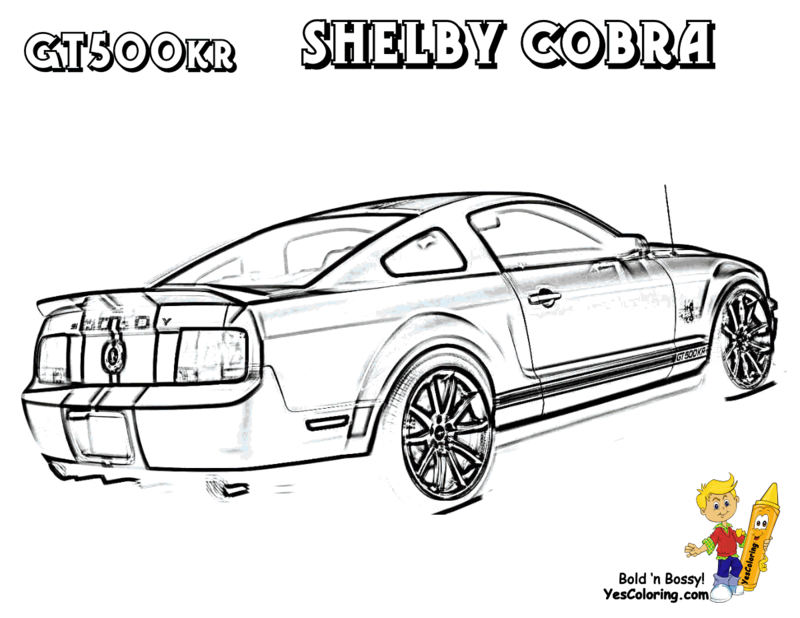 Ford Cars to Color of The Mustang Shelby GR 2005. 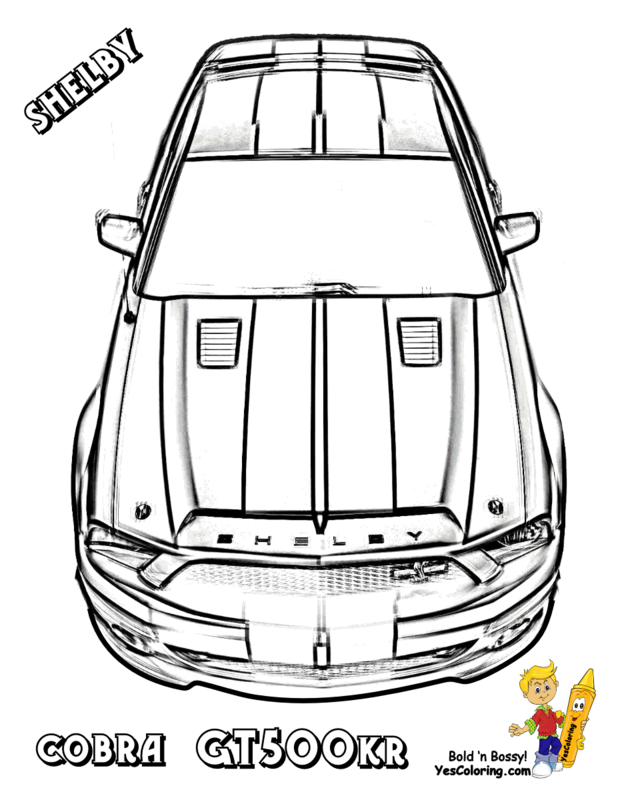 Boys Coloring Car Of Ford Mustang Shelby GR. 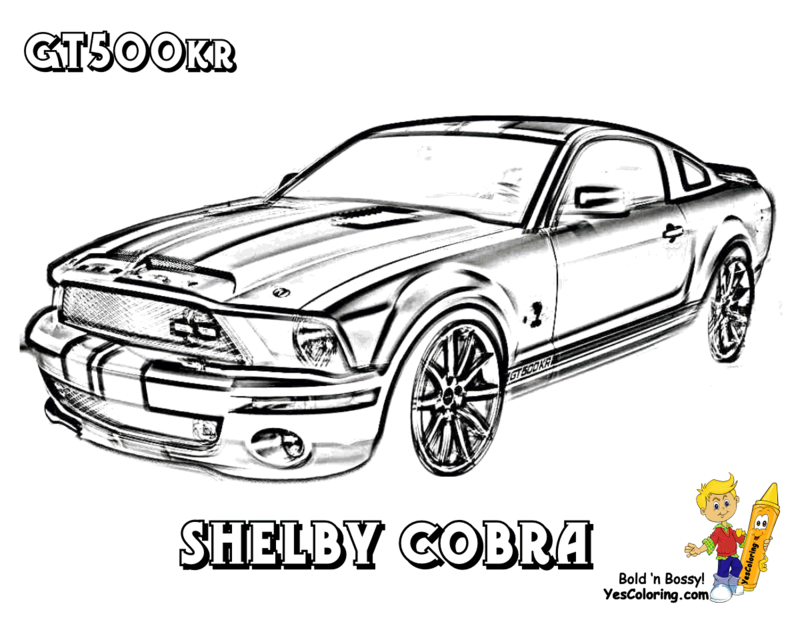 "Fierce Ford Car Coloring at YesColoring"
Easy Coloring Pages Of Ford Convertibles and Hardtops. 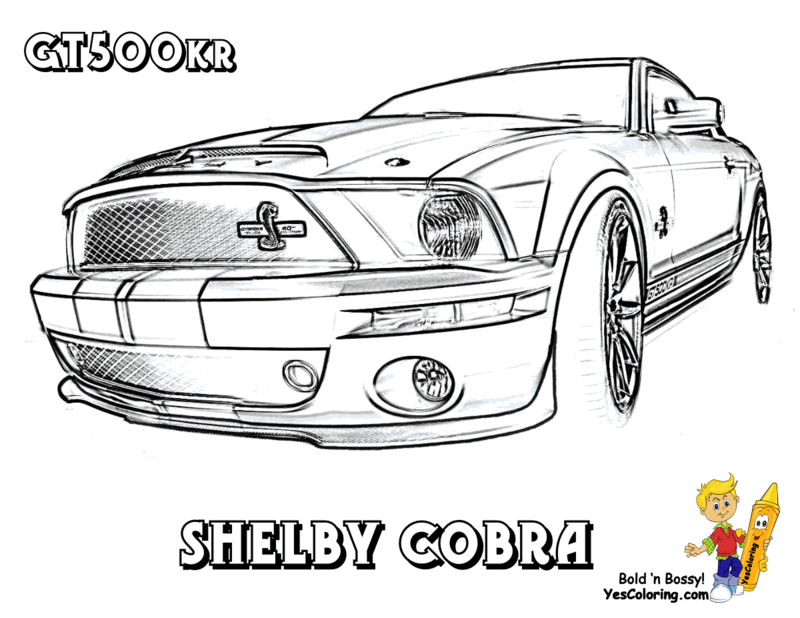 Beginner Coloring Pages Of Mustang. Ford GT 2016 To Print Out For Your Sports Car Coloring Collection. Print Out Your GT 2016 Muscle Car Picture.